BEIRUT — It was a hectic and intense past weekend in Washington and London, according to an emailed report from a Capitol Hill source, as the Obama and Cameron administrations tracked down and button-holed the leaders of the 28 European Union delegations gathering in Brussels to finally vote on whether Hezbollah’s “military wing” should be sanctioned by labeling it a “terrorist” organization. Several conversations took peace between Israel’s Tzipi Livni and the US State Department. As of last Thursday (July 18), the project was by no means a done deal, and only 17 EU members could be counted on “to do the right thing”, as this observer’s contact explained. So 11 votes had to be nailed down fast, and less than an hour before the EU vote, the last two EU hold-outs reluctantly went along. When asked why, given all that was happening these days this region, the oft-delayed EU vote on Hezbollah could simply not just be put off again, this observer was advised it had to do with another European Union action and the tremors that it caused for the Zionist lobby and their demands to the US State Department and the White House that something be done. Furthermore, that the timing of the EU decision was a combination of pressure by the U.S. and Israel to compensate for the recent decision by the EU to boycott products made in West Bank settlements. It was apparently influenced by Hezbollah’s involvement in Syria. Ms. Livni has called John Kerry since the first EU votes and advised in no uncertain terms that Israeli leaders were enraged when the European Union issued its official guidelines on the funding of Israeli projects beyond the Green Line, which will substantially block the ability of Israeli settlements and other entities operating in the West Bank to receive grants and from EU member states. Israel, claimed Justice Minister Tzipi Livni, wanted adequate compensation from the EU, and she reportedly warned Secretary of State John Kerry that talks with the Palestinians might otherwise be affected. The bus bombing in Bulgaria had little to do with the timing. The timing of the EU vote was fixed by White House pressure. Ms. Livni demanded three things from Kerry as the “price tag” of the Israeli government going through the motions of appearing to be willing to resume negotiations and to state publicly that Israel will consider some sort of slow-down or temporary “time-out” for the frenzied construction project on the West Bank. One of Livni’s demands was that the EU do what it now has done, targeting with the “terrorist” label Hezbollah’s military wing. The second non-negotiable demand was that the White House appoint as Kerry’s Chief Negotiator at any Israel-Palestinian peace negotiation the Israeli born arch- Zionist Martin Indyk. Kerry, not happy and under Israeli lobby pressure, agreed and will name Indyk shortly, Congressional sources reveal. Professor James Wall reports that former Palestinian negotiator Nabil Shaath said that Indyk was “partial, biased, pro-Israel” and defended Israeli settlements more than Israelis do. Kerry told Ms. Livni that there was no way the EU would agree, so she should be content with what the EU had voted. He pleased for calm because he had worked hard to line up all 28 votes. 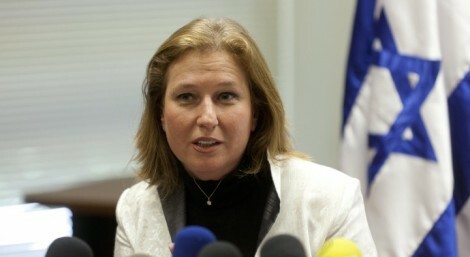 According to Eli Bardenstein, writing in the July 23 edition of the Israeli daily Ma’ariv, Livni’s role only added to a diplomatic blitz over the past year headed by Foreign Ministry Deputy Director General for Strategic Affairs Jeremy Issacharoll and the Counterterrorism Department headed by Shai Cohen. They organized a team that had been intensely lobbying European countries to promote branding all of Hezbollah a terrorist organization. In Lebanon and Syria, the EU’s move to blacklist Hezbollah as a terrorist group appears to have been shrugged off and viewed as part of the ongoing US-Israeli-backed conspiracy that it sees behind much of what is happening in the region. In this observer’s Hezbollah neighborhood last night there were some spontaneous celebrations of Ramadan, seeming mixed with support for resistance to the EU decision, which is viewed here with disdain. In practical terms, the EU decision constitutes a mere political slap on the wrist. Hezbollah is not known to have substantial identifiable assets in EU countries, and it does not rely on donations from supporters there. Also, according to the source, Washington does not believe that Hezbollah’s military wing has many assets in Europe, nor does it rely on funding from these countries. The EU was briefed by the State Department on this analysis and went along. For these and other reasons, the EU will maintain its contacts with Hezbollah on a variety of issues, including the activities of UNIFIL, the peacekeeping force on the border with Israel, and on joint projects between the EU and Lebanon. Lo and behold, a few short hours later, as if the NSA had given the head of the EU delegation, Angelina Eichhorst, a quick transcript of our perhaps bugged conversation, the lady wasted no time coming to Beirut to assure Hezbollah and other political groups and personalities, that everything was fine as she played down the EU decision to blacklist Hezbollah’s military wing. She promised that it would not affect the cooperation with the new Lebanese government even if the Shiite party dominated it. “The EU backs the efforts exerted by Premier-designate Tammam Salam to form a new cabinet and cooperates with the caretaker government which is dominated by Hezbollah,” she said. “The EU will happily work with any cabinet that Hezbollah is a part of!” she stressed and stressed again—perhaps a dozen times during her brief visit. As this is a family-friendly publication, this observer could not possibly even conceive of offering the dear reader the verbatim two-word response to Ms. Angelina and the EU from one my neighbors.